A core part of my job is working alongside marketing agencies to help them produce video content for their clients. Increasingly, marketing agencies are realising the benefits of hiring an external video production specialist (like me) rather than hiring an internal employee for video projects. If your marketing agency is only just getting started with video then hiring me on an ad-hoc, per-project basis works out much more cost efficient for your business than hiring a full-time staff member. You’ll get an expert camera operator & editor working for you on a white-label basis so that you retain full control of the project. Also, you won’t have to worry about laying out tens of thousands of pounds for equipment and training – because I have already done that for you! I’ve worked with marketing agencies to produce videos ranging from small projects with a 2-week turnaround to large-scale video campaigns that have lasted over a year. I always deliver on-time and on-budget. One of the projects I filmed and edited through 2016 – 2017 was nominated for Best Marketing Campaign for SME’s at the CIM Awards in April 2018. I am available for hire by other video production companies as a freelance camera operator and/or editor. 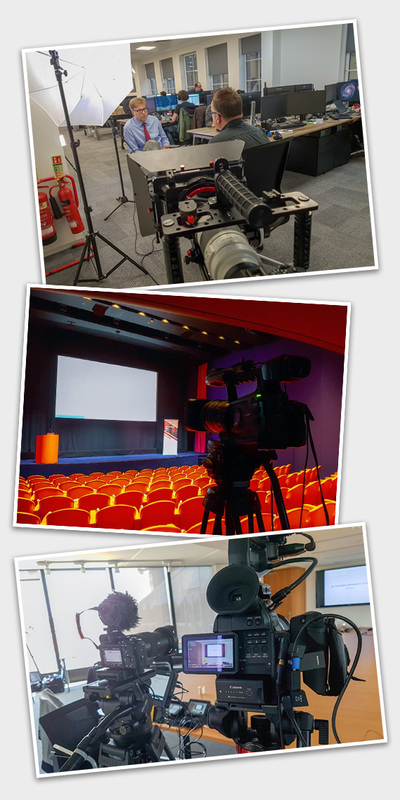 I’m an experienced camera operator: in the past year alone I’ve filmed many events, industry conferences and company presentations, produced instructional videos and social media content and helped to deliver media training to corporate clients. I’ll arrive to your shoot fully equipped with several cameras plus a complete lighting and sound kit. I’m fully insured, can travel to any location and deliver the video (or videos) exactly to brief, on-time and on-budget. 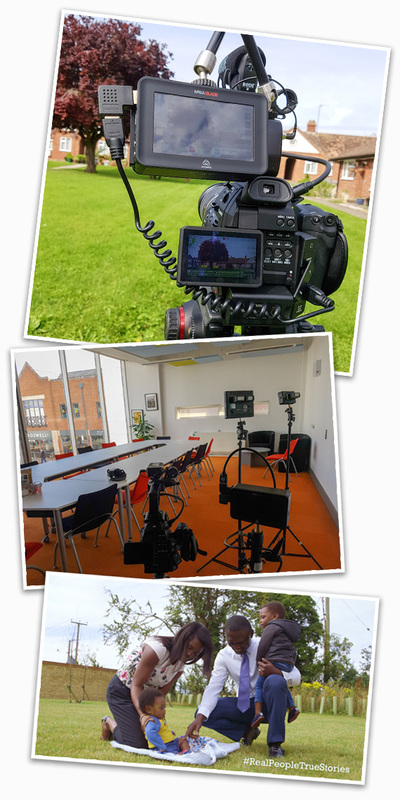 I have extensive experience with a variety of cameras from Sony FS7’s to Canon C300’s and smaller mirrorless cameras such as the Sony A7S II and Panasonic GH5. I am happy to work with either my own equipment, hired equipment or your own kit. I edit in Premiere Pro CC on Windows at my office (but can happily edit on Macs too). I love to work with smaller companies and individuals to create video content to suit your needs. With video production, you really don’t need a Hollywood sized budget in order produce a great looking video, but likewise you don’t want to showcase your main promotional material you’ve shot on an iPhone. Why? Well it’ll look and sound terrible and that will do more damage to your business than you might think. 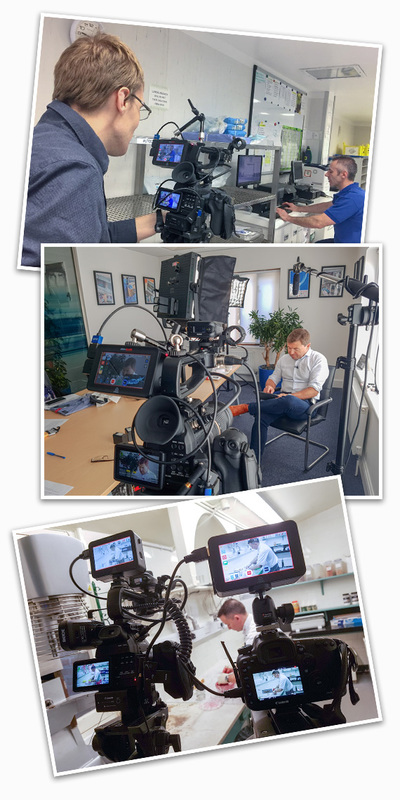 By getting in touch with me I can help your marketing team to produce professional video content whether this is just in terms of filming the material or I can contribute to the whole process from start to finish. I have experience in education settings such as universities, schools and early-years/nurseries. I have an enhanced DBS certificate so I can film subjects across all age ranges. Let's talk about how video can help your business to succeed in 2019 and beyond.